Life In A House of Blue ! : Clorox- Power a Bright Future Program: Enter Today! Home > press > Clorox- Power a Bright Future Program: Enter Today! Clorox- Power a Bright Future Program: Enter Today! During these tough economic times, budget cuts are an unfortunate reality. That means important kids programs everywhere, despite dedication and hard work, are getting scaled back or even eliminated. Clorox Clean-Up is here to help. 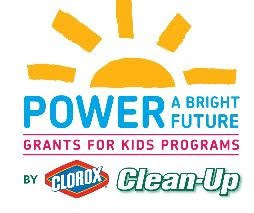 Through its new Power A Bright Future grant program, the Clorox Clean-Up team will award five grants of $10,000 each to applicable kids programs – in hopes of enriching kids lives across the country. From November 2-29, 2009, the Clorox Clean-Up team invites individuals to nominate nonprofit kids programs for a Power A Bright Future grant by submitting a photo and short essay about the project for consideration. 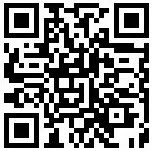 Each winner will receive a $10,000 grant to help the project grow and flourish. Winners will also be featured within an advertisement in an issue of People magazine. A panel of influential children’s advocates including from the National Education Association, Mom Central Consulting, Extraordinary Mommy.com and The Motherhood.com will review all submissions and select 50 finalists, based on criteria that includes: impact of program on kids, quality of the entry, fitting within contest theme of helping kids programs. Beginning on December 7th – January 17th 2010, the public will have the opportunity to vote online ( www.facebook.com/cloroxcleanup ) for their favorite kids program. The final five will be announced by the last week of January. As a thank you for voting, consumers will receive a Clorox Clean-Up coupon the first time they vote. This is a great opportunity to nominate local organizations you, your children, your friends and your family are currently involved with! Wow! I think it's awesome when companies step up to enrich children's lives. They are our future. Thanks for the info...I'm going to nominate a group!